Join us for our second annual Bordeaux MasterClass in Birmingham. We’ll be offering mix-and-match packages that include the following: A guided sit-down tasting that includes a total of 14 wines from the 2005, 2010, and 2014 vintages, led by Proprietors and General Directors of 11 top Châteaux in the region. Following the tasting, dinner at either Tallulah Wine Bar & Bistro or Rugby Grille featuring guest speakers showcasing the 2014 vintage of their wines. Price per guest is $80/guided sit-down tasting and $120/dinner, tax and gratuity included. If you choose to do both the tasting and a dinner, total price is $150 per guest, tax and gratuity included. 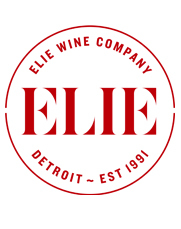 Please call us at 248-398-0030 or email elie@eliewine.com to reserve your seats. Guest speakers will be Cynthia Capelaere and Vincent Priou introducing the 2014 vintage of Château Branas Grand Poujeaux (Moulis-en-Médoc), Château Villemaurine (Saint-Émilion), Château Beauregard (Pomerol), and Château Bastor-Lamontagne (Sauternes). We’ll be tasting a total of 14 wines from the 2005, 2010, and 2014 vintages with discussion led by Proprietors and General Directors of each Château. Topics will include vintage variation and the characteristics of soil and microclimate that form the “Left Bank” individual sub-regions of Margaux, Pauillac, Saint-Julien, Saint-Estèphe, Pessac-Léognan, Moulis-en-Médoc, and Haut-Médoc. Guest speakers will be Pauline Lurton, Matthieu Bordes, and Laurent Cogomble introducing the 2014 vintage of Château Lagrange (Saint-Julien), Château Durfort-Vivens (Margaux), Château Haut-Bages-Libéral (Pauillac), and Château Bouscaut (Pessac-Léognan). We hope you can join us for this spirited immersion into one of the foremost wine production regions in the world. One of the few true Châteaux in the Pomerol appellation, Château Beauregard is estimated among the great growths of the region. Their 43 acres of vines are located near the border to Saint-Émilion and the famous Château Cheval Blanc. The Château was recently purchased by the Cathiard family, who also own Château Smith Haut Lafitte in Pessac-Léognan. The vineyard is planted to 70% Merlot and 30% Cabernet Franc. Vinification takes place in multiple, temperature controlled cement vats allowing for parcel by parcel vinification. The wine is aged in an average of 65% new, French oak barrels for between 18 to 24 months. Château Bastor Lamontagne has an extensive history that dates all the way back to the middle ages. But it’s the estate’s current iteration that is most exciting and bring it to first-class status. The Château was recently purchased by the Cathiard family, who also own Château Smith Haut Lafitte in Pessac-Léognan and Château Beauregard in Pomerol. Its 138 acres of vineyards over limestone, gravel and clay soils border Château Suduiraut and are planted with 80% Sémillon, 17% Sauvignon Blanc, and 3% Muscadelle. The wine of Château Bastor-Lamontagne is fermented in barrel and aged in an average of 10% to 20% new, French oak barrels for close to 15 months. Château Villemaurine is a small Saint-Émilion estate classified Grand Cru Classé. Their 17 acres of vineyards rest on top of “Right Bank” Bordeaux clay and limestone soils ideal for raising the Merlot variety. The relatively recent purchase by Justin Onclin and subsequent investment in the property and cellars, including the hire of noted winemaking consultant Stéphane Derenoncourt followed by Hubert de Boüard de Laforest of Château Angélus, has brought the estate to prominence. The vineyards are planted to 95% Merlot and 5% Cabernet Franc. The wine of Château Villemaurine is whole berry fermented in stainless steel tanks and then aged in 80% new, French oak barrels. One of the “Cru Bourgeois Supérieurs” as classified in 2003. Château Branas Grand Poujeaux derives its name from the exceptional terroir located in the Grand Poujeaux district of Moulis-en-Médoc. The modern era of the estate began in 2002 when new owner Justin Onclin completed a major renovation and modernization of the wine making facilities. Today they are a modern, completely gravity based cellar. The 30 acres of vineyards have a terroir of gravel with clay soils and are planted with 50% Merlot, 45% Cabernet Sauvignon and 5% Petit Verdot. Grapes are whole berry fermented in large oak vats and temperature controlled, stainless steel tanks. The wines of Château Branas Grand Poujeaux are aged in 80% new, French oak barrels for close to 18 months before bottling. Château de Camensac is classified as a “Fifth Growth” estate according to the Bordeaux Wine Official Classification of 1855. It is one of the few classified properties in the Haut-Médoc appellation. Their 160 acres of vineyards lie on a perfectly drained mound of gravel-based soils over deep clay-limestone substrate that could almost be considered an extension of Saint-Julien, as the entire estate is just a stone’s throw east of the appellation boundary. The vineyards are planted with 60% Cabernet Sauvignon and 40% Merlot with an average vine age around 35 years. The wines of Château de Camensac are aged for an average of 17 to 20 months in French oak barrels that range from 35% to 70% new, depending on the character and the needs of vintage. One of nine “Cru Bourgeois Exceptionnels” as classified in 2003, and one of the top two producers in the Moulis-en-Médoc appellation (alongside Château Poujeaux), Château Chasse-Spleen was created from parcels of exceptional terroir located at the highest point of the ridges of the Grand Poujeaux after an early 19th Century division of the Château Grand-Poujeaux. After purchasing the estate in 1976, the Merlaut family replanted large sections of the vineyard to increase vine density and modernized the wine making facilities. The 197 acres of gravel, clay and chalk vineyards are planted to 73% Cabernet Sauvignon, 20% Merlot and 7% Petit Verdot with vines that average 30 years of age. The wines of Château Chasse-Spleen are aged in 40% new French oak barrels for between 12 and 15 months before bottling. Château Durfort-Vivens is classified as a “Second Growth” estate according to the Bordeaux Wine Official Classification of 1855. Their 135 acres lie in the heart of the Margaux appellation. Gonzague Lurton has run the property since 1992. Under his stewardship, Durfort Vivens has begun farming using organic and biodynamic techniques as well as modernizing with new cellars and fermentation vats. The estate is planted with 70% Cabernet Sauvignon, 24% Merlot and 6% Cabernet Franc in soils consisting of gravel, clay and sand. The wines of Château Durfort Vivens are vinified in a combination of wood and concrete vats and then aged in about 40% new French oak barrels for an average of 18 months. Château Haut-Bages-Libéral is classified as a “Fifth Growth” estate according to the Bordeaux Wine Official Classification of 1855. Their prime 74 acres of gravel on chalk, clay and limestone soils are planted to 70% Cabernet Sauvignon and 30% Merlot and located in the renowned appellation of Pauillac next to the First-Growth Château Latour. 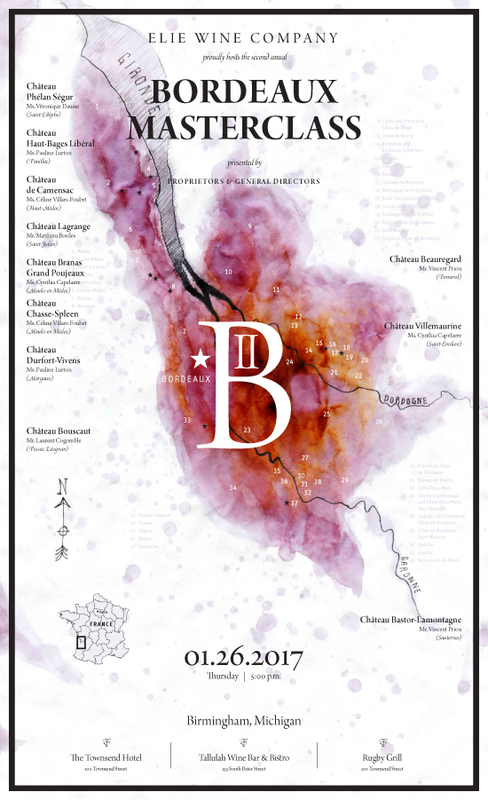 With recent modernization of the winemaking facilities and a shift toward biodynamic farming, Château Haut-Bages-Libéral represents some of the best value classed-growth Bordeaux. Their wines are vinified in a combination of stainless steel tanks and cements vats and then aged in 40% new French oak barrels for between 14 to 18 months. Château Lagrange is classified as a “Third Growth” estate according to the Bordeaux Wine Official Classification of 1855. Their 291 acres, separated into 102 different parcels of gravel, sand and clay soils (some with deposits of iron), are distributed over two gently sloping gravel hillsides. Planted to 67% Cabernet Sauvignon, 27% Merlot and 6% Petit Verdot, their vines are at the highest elevation in the Saint-Julien appellation. With recent extensive renovations including modernization of their entire wine making facilities, Château Lagrange has risen to become a model estate in Bordeaux. The wines are vinified in stainless steel vats before aging in 60% new French oak barrels for up to 21 months before bottling. Château Phélan Ségur is one of nine “Cru Bourgeois Exceptionnels” as classified in 2003. Their 168 acres in Saint-Estèphe are planted to 55% Cabernet Sauvignon and 45% Merlot with some vines as old as 70 years. Their largest vineyard parcels are adjacent to the renowned Second Growth estate of Château Montrose. In 2011 the estate finished extensive renovations in their wine making facilities and cellars, shifting to smaller stainless steel fermentation vats that allow for more precise vinification on a parcel by parcel basis. Château Phélan Ségur’s textbook meaty, solid and long-lived St. Estèphe wines are aged in French oak barrels (50% new) for 16 to 18 months. Château Bouscaut is one of only six Grand Cru Classé of Graves for both its white and red wines. Their 133 acres of gravel, clay, limestone and sand soils in the Pessac-Léognan appellation spread out facing due south on the highest part in the commune of Cadaujac, adjacent to the vineyards of Château Smith Haut Lafitte. Château Bouscaut has seen continued improvements in the wine and in the wine making over the past two decades. The red wines of Château Bouscaut are vinified in traditional cement vats and stainless steel tanks and then aged in an average of 50% new French oak barrels for 16 months. For the whites, Sauvignon Blanc is aged in neutral oak barrels while the Semillon sees 40% new French oak, both for 12 months, and then blended before bottling.